The European champions parted with manager Lopetegui at the end of last month following a humiliating 5-1 El Clasico defeat to Barcelona. Real then promptly announced the appointment of Castilla coach Solari on an interim basis, while they search for a permanent successor. The Argentine has since overseen 11 goals along with three wins and clean sheets in as many games. Now Ceballos, who made his first appearance for Real in Wednesday’s 5-0 Champions League win at Viktoria Plzen since October 20, has joined team-mate Casemiro in praising Solari’s impact. 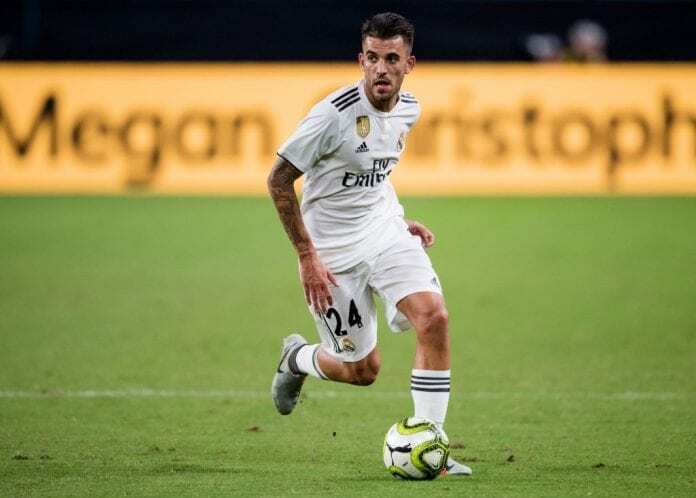 “I didn’t expect Lopetegui to leave me out of the squad against Plzen [on October 23],” Ceballos told Cadena Ser. “I talked to him, but it was his decision. “Lopetegui had a lot of faith in me and he gave me minutes after not playing much. “But I think the change of coach has been good for us because we’ve put three wins together and I think that’s very important. “Solari’s been very clear with me since our first encounter. We have a big squad and we all have to give something. “After the game against Barca, we hit rock bottom and I think the change has been good for us. “Mentally we were in a very bad way, but Solari has managed to turn things around. Real will next take a trip to Celta Vigo on Sunday in La Liga.